This tremendous pairing of Tennessee artists will take the stage at Brisbane’s The Tivoli on Thursday 28th September, Melbourne’s Forum Theatre on Sunday 1st October, closing with an all-ages show at the Enmore Theatre in Sydney on Tuesday 3rd October. Celebrated by the industry, music lovers and their peers alike, Old Crow Medicine Show are dual Grammy Award winners that have been inducted as members of the iconic Grand Ole Opry, have achieved platinum certification for their classic single ‘Wagon Wheel’ , and have played some of the most famous venues and festivals in the world. 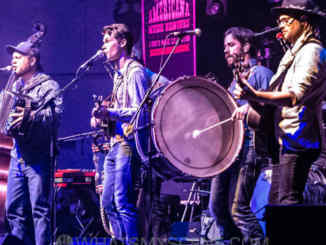 From Bonnaroo, Coachella and Memphis in May Beale Street Music Festival to the famed Ryman Auditorium and Red Rocks Amphitheatre, Old Crow Medicine Show have achieved prominence since their humble beginnings busking in New York and Canada in the late-90’s. 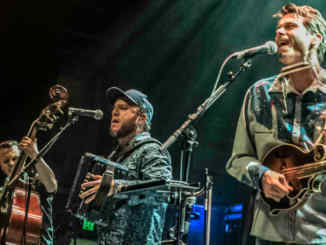 They’ve toured with artists such as Willie Nelson & Family, Brandi Carlile, Mumford & Sons, The Lumineers, John Prine, The Avett Brothers and more, and count the likes of Elton John, Norah Jones and Emmylou Harris amongst their fans. On their Australian shows, Old Crow Medicine Show will pay tribute to their music icon, Bob Dylan, by playing his seminal 1966 album, Blonde On Blonde, in full. First performed at Nashville’s Country Music Hall of Fame last year to coincide with the 50th Anniversary of the record’s release, the band went on to release their live own live recording, 50 Years Of Blonde On Blonde, in April. In a four-star review of her latest record The Order Of Time, Mojo wrote of “Valerie June’s siren-like vocal delivery both beautiful and tempting”, while The New York Times said, “Her voice is, as always, a marvel of seeming guilelessness, lightly but firmly shaping the melody while allowing herself scratches, cracks and quavers: imperfection as empathy”. Valerie June has been heavily inspired by a city that lives deep in her soul, like so many artists that have come from Memphis, this city sits at the center of America’s blues, rock and soul sound. Combining the sounds of blues, gospel and folk, one of June’s first big breaks came from her 2009 appearance in the MTV series $5 Cover which followed the lives of Memphis musicians struggling to start a music career. The following year she collaborated with Old Crow Medicine Show on a project titled Valerie June and the Tennessee Express. This special tour, is a Taste of Americana and is presented in collaboration with the AmericanaFest, hosted annually in September is Nashville, Tennessee. AmericanaFest brings together tens of thousands of fans and music industry professionals alike, offering six days of celebration through seminars, panels and networking opportunities by day and more than 300 artist showcases by night. The tour is also proudly supported by the tourism bodies of Tennessee and Memphis. Tennessee is the global destination of choice for an authentic experience rooted in blues, bluegrass, country, gospel, soul, rock’a’billy and rock’n’roll at the crossroads of history and renown scenic beauty. It seems the Tennessee experience is beginning to resonate with Australians in a big way, with more and more visitors travelling to the historic state and more flights making it easier to get from Australia to Tennessee than ever. Old Crow Medicine Show and Valerie June serve as musical ambassadors for Tennessee. 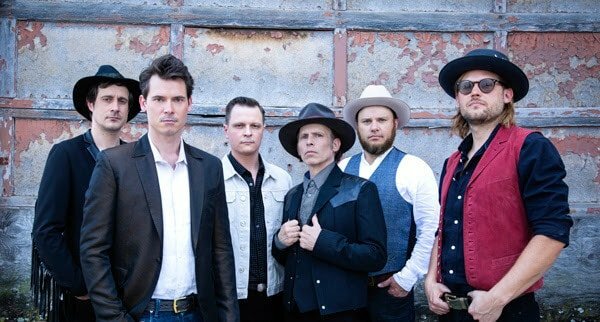 Old Crow Medicine Show embrace and exemplify the roots of Americana, incorporating the early jug bands and Sun Records sounds of Memphis to the bluegrass and classic country that made Nashville famous on the Grand Ole Opry, of which they are proud members. Valerie June, native to Jackson, Tennessee and Memphis, collaborated on a recording in 2010 with Old Crow Medicine Show called Valerie June & the Tennessee Express. A multi-instrumentalist with a sound that melts the genres of folk, blues, gospel, soul, Appalachian and bluegrass into one sound that is distinctly her own. Together, they make a solid representation of The Soundtrack of America. Made in Tennessee. 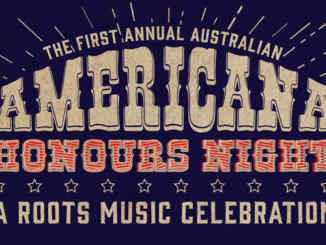 Old Crow Medicine Show and the beguiling Valerie June promise to deliver a night of authentic Tennessee tunes when they touch down in Australia later this year, traversing country, blues, roots and more, with a little bit of soul and gospel thrown in for good measure. If you love good music, this show is not to be missed!